Commercial chiller cabinet refurbishment is an incredibly important service, but not limited to those in the food service sector. Refrigerated display and freezer cabinets are necessary in so many industries: from large supermarkets, to small corner shops in retail, as well as cafes, bars and restaurants in hospitality. Freezer and chiller cabinets are needed for food hygiene and safety, so that food is kept at the appropriate temperature in order that it can be sold to the public, as well as of course being a ’shop window’ for the food items displayed within. From both points of view then, it is of the utmost importance that the chiller cabinets are both in top working order and look good too. For many smaller outlets, the cost of purchasing a brand new refrigeration or freezer cabinet can be prohibitive, and so the option of approaching refrigeration cabinet refurbishment contractors to breathe fresh life into an existing piece of equipment is one that can be a real lifeline, and the perfect way of ensuring that your equipment lasts as long as you need it to. Why not get in touch to discuss your bespoke commercial refrigerated display cabinet fabrication or refurbishment project? Where you have the need for multiple units to be produced or brought back to life, we’re ready and here to help. We’ll work closely with you to design refrigerated cabinets to your specification, creating a custom made product to meet your exact requirements. 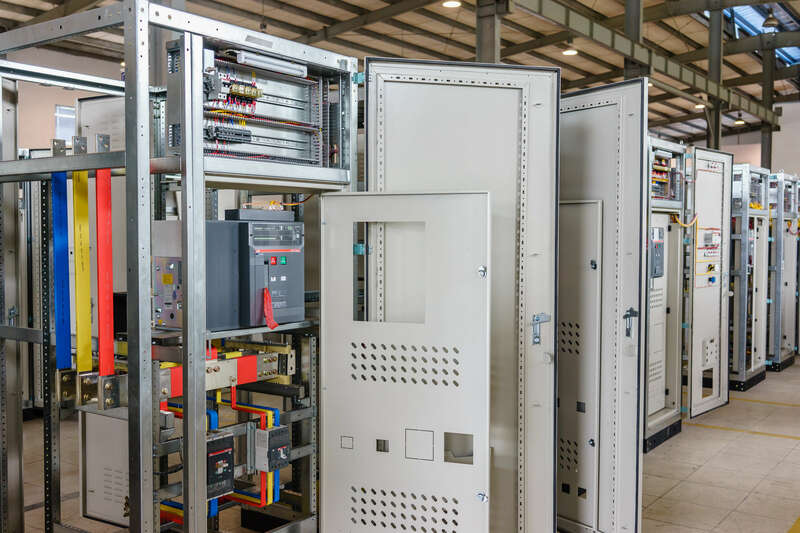 All of your bespoke refrigeration cabinets will be designed and manufactured ‘in-house’ at our Loughborough steel fabrication facility to ensure we have full control over quality and testing. Our bespoke fabrication of freezer and chiller cabinets, usually using stainless steel, Zintec or pre galvanised steel in the case of refrigerated shelving, ensures that our clients benefit from the freedom that our design team can offer. We understand and embrace the issues that our clients face in today’s market place, with substantial investment in studying areas such as environmental impact, energy efficiency, physical size and noise levels, our innovative technologies and processes deliver equipment most suitable for today’s environment. Our state-of-the-art manufacturing plant houses the latest technology and is evidence of our continual investment in UK manufacturing. We constantly research and apply manufacturing improvements which are achieved by improved planning, design and labour & plant utilisation. Where particular finishes or colours are needed, we can also cater for your individual needs. Whether it be a brushed finish on the bare steel, or a lacquered or powder coated finish, we can do it all. To learn more about how our team of expert precision engineers and fabricators can refurbish or manufacture refrigerated chiller cabinets for you, call us on 01509 23328 or submit your enquiry using our contact form and we’ll get back in touch with you. Interested in our bespoke metal work solutions?